Get in the Game with this NCAA Cincinnati Bearcats Home Field area rug from Milliken and Company - the leader in textile research and design. Made of 100% nylon pile fiber. Made in the U.S.A.To view all the Milliken Area Rugs available for this team please click here. 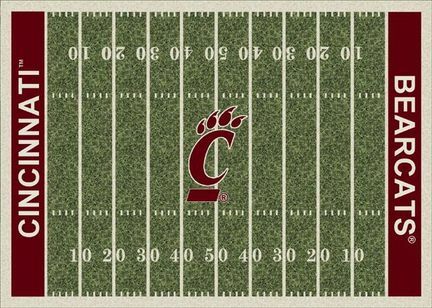 You found Cincinnati Bearcats 5' 4" x 7' 8" NCAA Home Field Area Rug in category Football and subcategory FanShop. If you need to buy more FanShop than you are on the righ place. 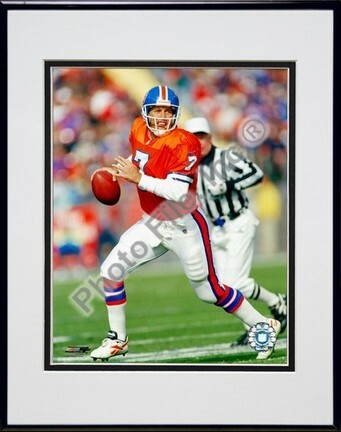 Enjoy this photograph featuring NFL player John Elway of the Denver Broncos. A great collector's piece for all Denver Broncos fans!About this photo: OFFICIALLY LICENSED Photo Custom printed and cropped on high-gloss photographic paper Mounted in an acid-free mat with precision cut beveled edges Made in a custom photographic lab, not on a printing press Each game-action or portrait photograph was taken by a professional photographer Photo File is an authorized licensee for this photo Outside matte is eggshell white with a black interior matte.Black anodized aluminum frame Size with frame is 11"x14"Note: This is an unautographed photograph. 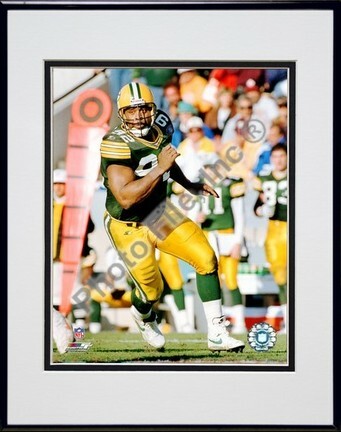 Enjoy this photograph featuring NFL player Reggie White of the Green Bay Packers. A great collector’s piece for any Green Bay Packers fan!About this photo: OFFICIALLY LICENSED Photo Custom printed and cropped on high-gloss photographic paper Mounted in an acid-free mat with precision cut beveled edges Made in a custom photographic lab, not on a printing press Each game-action or portrait photograph was taken by a professional photographer Photo File is an authorized licensee for this photo Outside matte is eggshell white with a black interior matte. Note: This is an unautographed photograph. 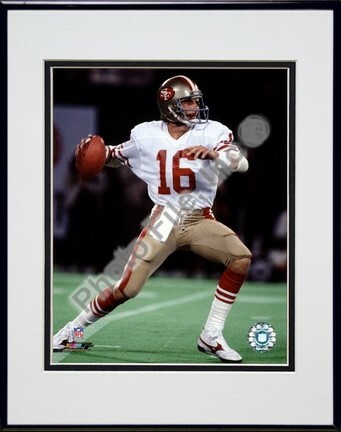 Black anodized aluminum frame Size with frame is 11"x14"
Enjoy this photograph featuring NFL player Joe Montana of the San Francisco 49ers. A great collector's piece for all San Francisco 49ers fans!About this photo: OFFICIALLY LICENSED Photo Custom printed and cropped on high-gloss photographic paper Mounted in an acid-free mat with precision cut beveled edges Made in a custom photographic lab, not on a printing press Each game-action or portrait photograph was taken by a professional photographer Photo File is an authorized licensee for this photo Outside matte is eggshell white with a black interior matte.Black anodized aluminum frame Size with frame is 11"x14"Note: This is an unautographed photograph. 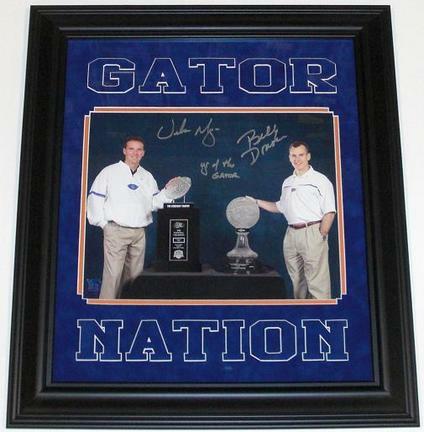 Enjoy this item autographed by Urban Meyer and Billy Donovan of the NCAA Florida Gators. The perfect item for any Florida Gators fan! National Championship coaches, Urban Meyer (football) and Billy Donovan (basketball), have personally hand signed this SUPER RARE 11x14 inch horizontal Photo with silver sharpie pens. Coach Meyer was nice enough to include a RARE "YR OF THE GATOR" inscription below his signature. Since the Florida Gators became the first school to win a basketball and football championship trophy in the same year, it became "THE YEAR OF THE GATOR"! The Black custom wood frame measures 21x24 inches, and the double matting consists of a Blue Suede top matting over a orange bottom mat, with "GATOR NATION" Suede cut letters on top of the matting, WOW! This Beautiful custom made frame is ready to hang on the wall in any office, game room, or bedroom!This item comes with a Certificate of Authenticity (COA) and tamper proof authenticity hologram from The Real Deal Memorabilia. Get the REAL DEAL!